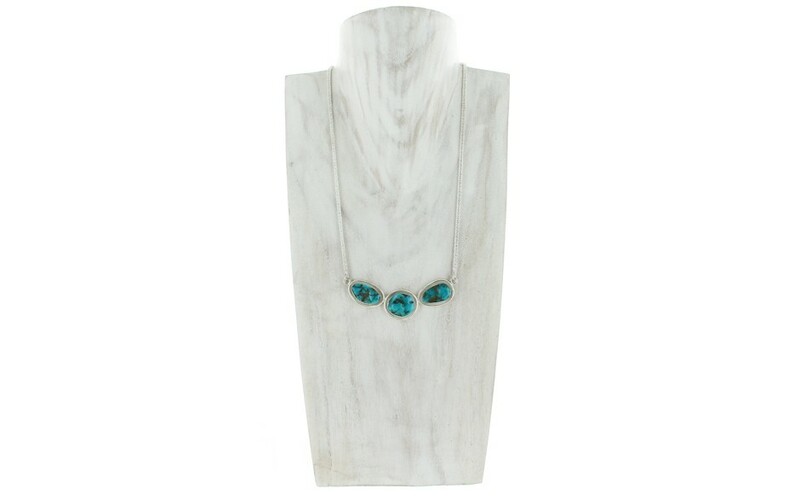 Three nuggets of Kingman turquoise with metal matrix are bezel set in sterling silver and are attached to each other for a bib-style necklace. 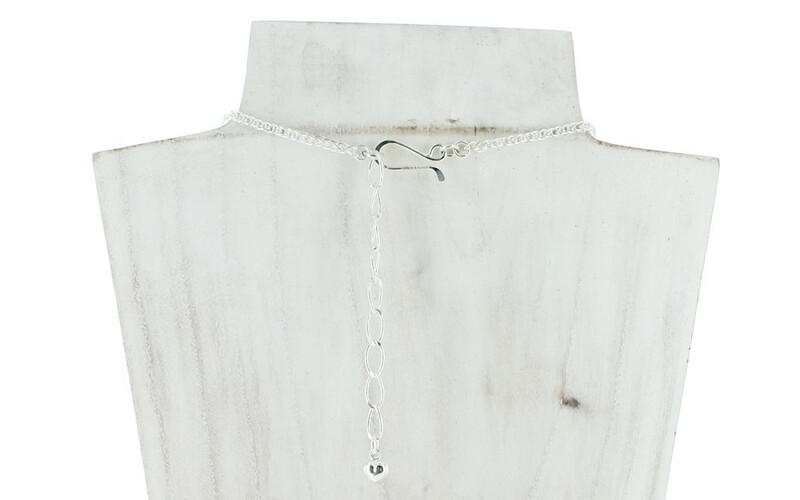 From each side, a sterling silver link chain connects to the hook and extender chain. 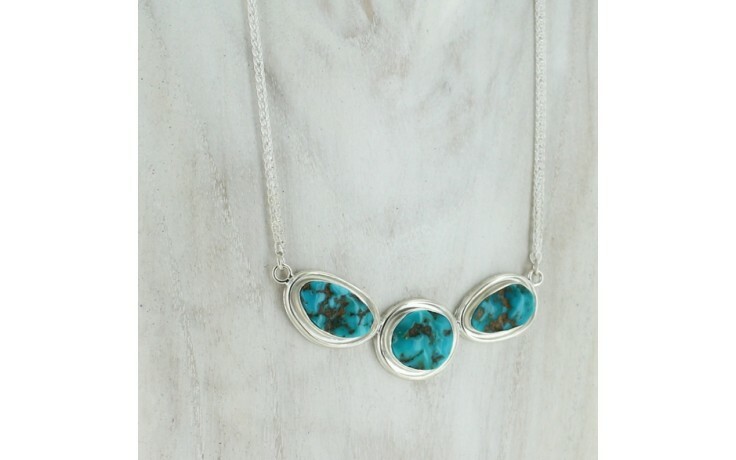 The largest nugget measures 18mm x 10mm and the smallest measures 16mm x 14mm.